Derek Robert is the founder and Director of Freedom Ministries International. Having come to Messiah at 16 years of age he came to realise he had many bondages to be set free from. In 1997 he was released from the negative effects of his forefathers involvement in Freemasonry. Father God then called Derek to set others free from its insidious effects. The results of this ministry are sometimes electric and the fruit remarkable. 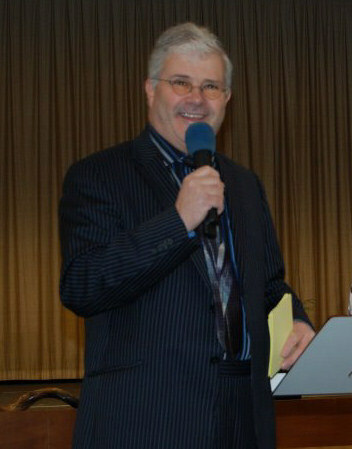 Many have testified to their lives being totally transformed through Derek's books 'Breaking the Chains of Freemasonry' and "Breaking the Chains of Emotional Abandonment, Fatherlessness and Jezebel,' and Breaking the Chains of Roman Catholicism, as well as our seminars on CD/DVD; 'Breaking the Chains of Freemasonry' and Fatherlessness and Breaking The Power of Jezebel, The Queen of Heaven.' These testimonies include many astounding healings, including cancer, autistic type fits and psycholigical conditions and disorders.